The Organic Chemistry Department was moved to a new location, a fully functional GC/MS laboratory in the April 2006. 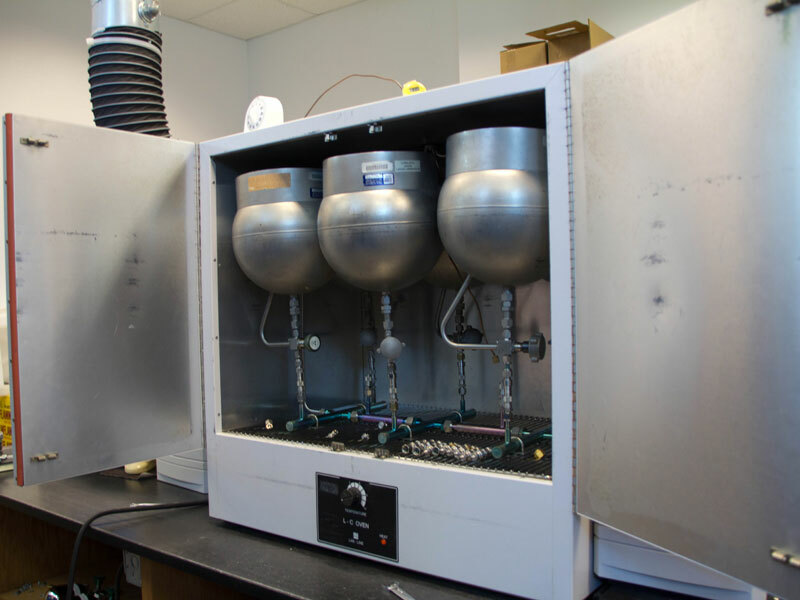 The laboratory is equipped with a HSG analysis system consisting of a 6890/5973N Agilent GC/MS with a loop injection system and three Entech 7032 Autosamplers installed in series were purchased from Entech Instruments, Inc. Also included was an Entech 3100A oven-based canister cleaning system, an Entech 4600 Dynamic Diluter for automatic preparation of VOCs calibration standards, and fifty 400 mL Silonite-coated mini-canisters with Nupro valves and attached pressure gauges. An Entech 7016 canister autosampler allows for up to sixteen samples to be run in sequence with minimal operator supervision.It is equipped with a backup Agilent 6890/5973 GC/MS system used in headspace gas analysis (HSG). 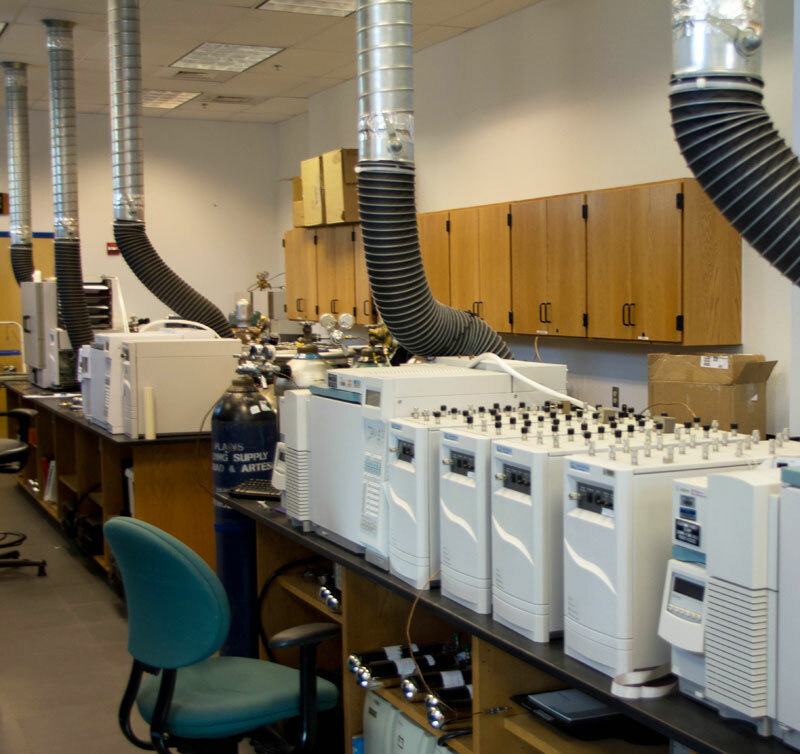 A backup autosampler for HSG analysis is also available along with a new Agilent 6890/5975 GC/MS used as a backup analysis system for the Confirmatory VOCs Monitoring.